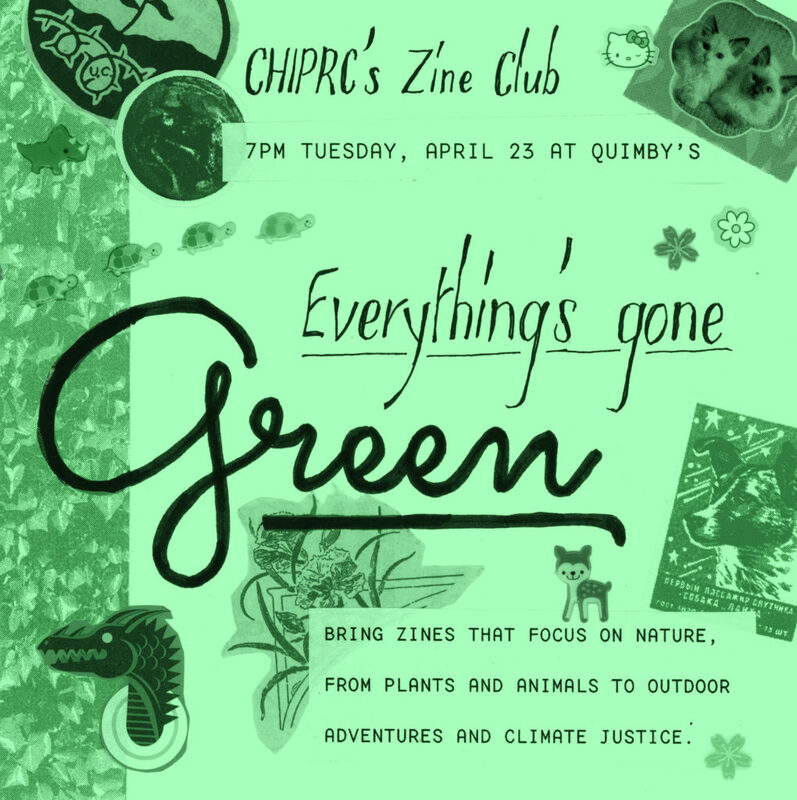 Spring is a time when we honor all that our planet provides for us, so we’re celebrating the earth by exploring zines about going green in every sense of the phrase! This month at our book club-style event for people who read zines, we’ll be talking about our favorite titles that focus on nature, from plants and animals to outdoor adventures and climate justice. Zine newbies and longtime enthusiasts alike are welcome to join us for a fun discussion and snacks. If you’d like to participate in our Mystery Zine Swap, bring a zine (concealed in some way) to trade with someone else on the spot! This event is produced by Chicago Zine Fest organizer Cynthia E. Hanifin. Thank you to CZC member Anna Jo Beck for designing this month’s beautifully verdant flyer! Here’s the Facebook Invite for this! Tags: CHIPRC, Cynthia E. Hanifin, Zine Club.